We are listing top web development courses that are apt for the complete beginners. If you are aspiring to become a web developer and don’t know where to go, don’t worry. The courses we share here are comprehensive, you enter in the course as a noob and come out as a job ready web developer. 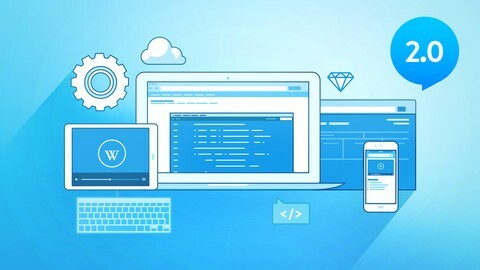 These courses are picked up from 100’s of web development courses that are currently hosted on Udemy. The instructor Colt Steele promises that this is the only course you need to learn web development. This is the only online course on Udemy which is instructed by a professional bootcamp instructor. Everything covered in the course is up-to-date and relevant to the developer industry. No PHP or other dated technologies. This course does not cut any corners. It is the complete beginner full-stack developer course that covers NodeJS. 13+ projects are built, including a gigantic production application called YelpCamp. No other course walks you through the creation of such a substantial application. New content is added regularly to the course, projects, and modules. Its literally a subscription to a never-ending supply of developer training. You also get to meet Colt’s dog Rusty! There are a total of 113,851 students currently learning from this course. The feedback score of the course is 4.7/5 out of 25,000+ reviews. It starts with the fundamentals, the instructor shows you insider tips to work quickly and efficiently with HTML5, CSS3 and Python. You will be developing blogs and eCommerce sites with WordPress, and learn smart ways to add dynamic content, using APls to connect to sites such as Google Maps and Facebook. Complete fun website challenges at every turn are put infront of you to keep yourself in check. As you go deeper in the course, you will use your skills to create a website side by side. The final challenge will be to create a full Twitter clone. There are 111,332 students learning from the course, the current feedback score of the course is 4.6/5. The course has received a total of 21, 539 ratings so far. Hope you find this course helpful! And if you do, please feel free to share it with your friends.